To manufacture Diamond's high-performance connectors, only the highest quality materials are used. This is carried out in connection with our advanced fiber-optic component manufacturing processes, which have been developed over the last 25 years. Our target was to reduce the insertion loss values by minimizing fiber-to-fiber eccentricity. 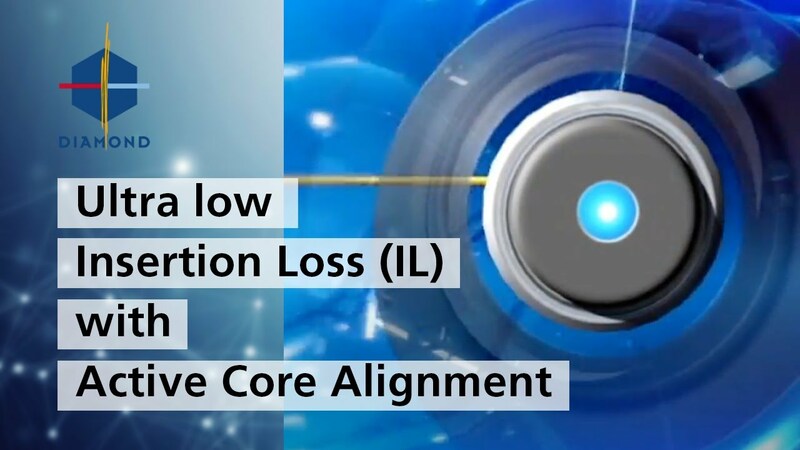 The result is our patented two-part ferrule and "Active Core Alignment" (ACA) technology. During this process, the endface is deformed after the fiber has been polymerized in place in order to center the core of the fiber with the mechanical axis of the ferrule. SM, 0.1dB grade, VIS/NIR (low wavelength), PS (power solution), PM (polarization maintaining), and X-Beam (expanded beam).